What a peach. 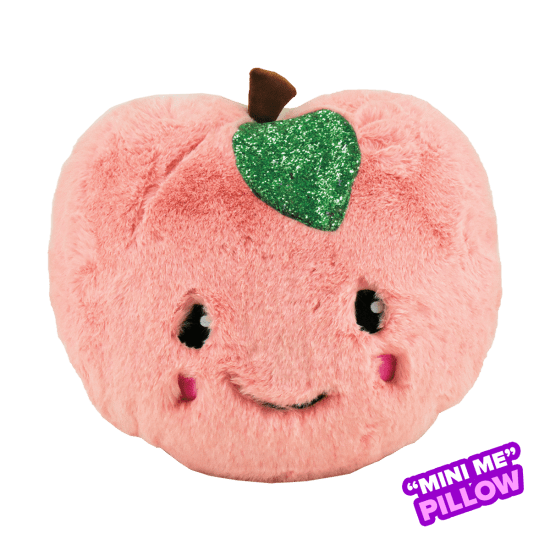 Our adorable mini peach scented furry pillow looks just like your favorite fruit — only cuter! 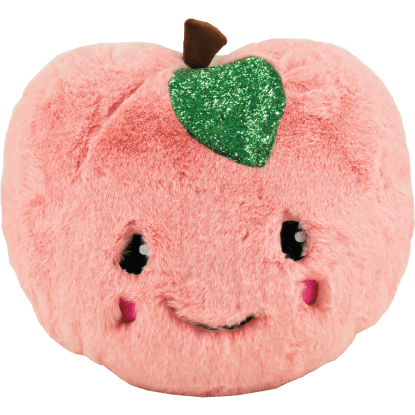 With a sweet embroidered face and glitter detail, you will want to hug this little guy all day long. The best part is, he even smells like peaches! 8 3/4" x 9 1/4"